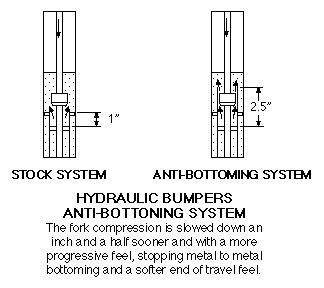 This anti-bottoming kit replaces the rubber bumper system wih our 2.5" hydraulic system. 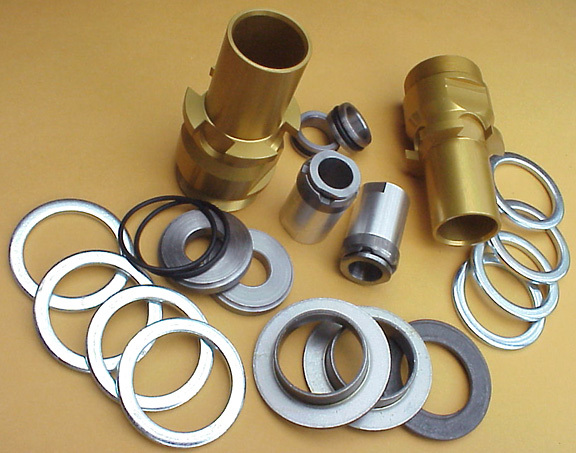 The kit includes all parts required to convert the forks from rubber to hydraulic. The system eliminates fork bottoming by slow the cartridge rod bottoming piston progressively, 2.5" before the end of travel resulting in a plusher, more progressive feel.